An estimated 8,000 people gave Democratic presidential candidate Bernie Sanders an enthusiastic welcome on the University at Buffalo's North Campus Monday evening. But first, the U.S. Senator from Vermont took time to address an estimated 3,000 people who couldn't get inside Alumni Arena. The resignation of Democratic National Convention Chair Debbie Wasserman Schultz over the release of emails showing that staff favored Hillary Clinton over Bernie Sanders is overshadowing other news at the beginning of the Democratic National Convention. Where does Bernie go from here? Vermont Senator Bernie Sanders made the second stop in his ‘where do we go from here’ tour in Albany Friday afternoon. 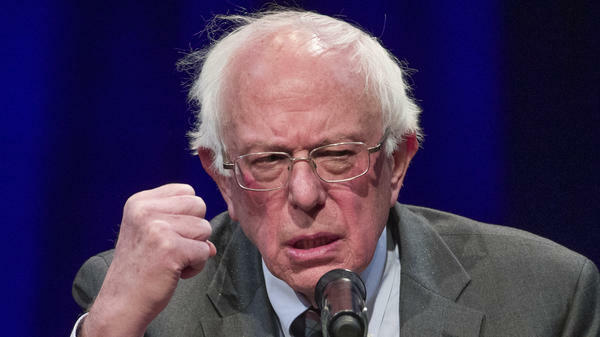 He told a small but loyal group of supporters that he will fight to get key items into the national Democratic Party platform, including a nationwide $15 minimum wage, and has been in talks with Hillary Clinton’s campaign over a greater focus on progressive issues.